You may have heard about “Operation Varsity Blues”, the largest college cheating scandal to date. Actress Lori Loughlin (from Full House) is one celebrity that was allegedly involved with bribery, paying $500,000 for her two teenage daughters to be recruited to the University of Southern California (USC). Her youngest daughter, Olivia Jade, has a large personal brand for fashion and beauty, with over two million Youtube Subscribers and 1.3 million Instagram followers, so did she really need school anyway? Jade has expressed gratitude to both of her parents for encouraging her to attend school but has also expressed that her heart remains loyal to her fans and following. 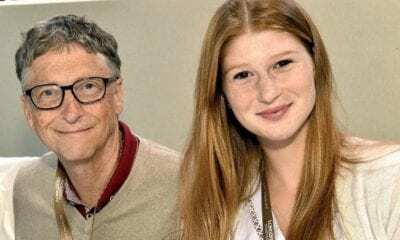 In a recent interview before word of the scandal broke loose, Olivia shared that her father, Massimo Gulliani, used his time and college tuition money to build his business instead of attending classes. Obviously, by the success of his clothing line, this worked in his favor and taught Olivia Jade the value of entrepreneurship and how far a dream can take you. What’s Next For Olivia Jade? Tough to say. Due to the scandal, she won’t be returning to USC to continue her studies, and large brands such as Sephora have already dropped their partnership with her. We’ll have to wait to find out what’s to come, but with her other strong passions in Youtube and beauty, maybe it’s just the beginning of a super promising career.